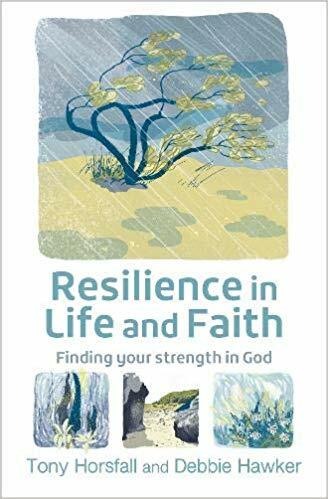 Tony Horsfall and Debbie Hawker have combined their unique talents to produce a new resource – Resilience in Life and Faith. As one would expect from two authors with excellent track records, it does not disappoint. Defining resilience not as merely ‘bouncing back’ (as I so often have done!) but helpfully quoting a variety of authors to demonstrate that although the status quo in our lives may not be restored after a trauma, what we learned in the process changes us for the better, they have come up with their own model for understanding the different facets of life which impact upon our ability. They call it ‘SPECS’ and I will not explain that here so that I don’t have a negative impact on their book sales! Suffice to say it considers all aspects of our human being to ensure we have a complete awareness of how to balance our lives well. The chapters explore each of these facets in turn, first the psychology (Debbie) and then a character study from the Bible (Tony). This useful pairing means that the theory, presented simply enough for the amateur to understand but deeply enough to be helpful and authoritative, is balanced with lived-out practice, which is thoughtfully and interestingly brought to us. Each chapter closes with helpful questions for reflection, which gives the book the feel more of a devotional rather than a textbook, usefully bringing together two genres. At the end is a quick but effective self-assessment to highlight the reader’s current life practice and how it affects each facet of their resilience. Reading this book I felt better informed about resilience, and inspired to maintain it. I commend this resource to practitioners of pastoral care for whom it is an invaluable addition to the bookshelf, and to all Christians who will find information to help them thrive in their daily lives. You can buy Resilience in Life and Faith direct from the publisher – just click here.